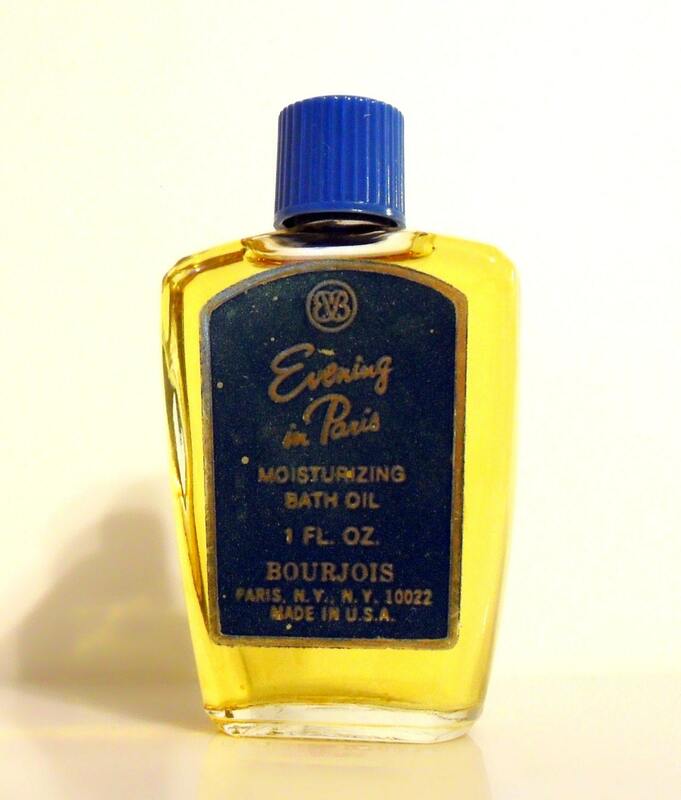 Vintage 1960s Evening in Paris by Bourjois 1 oz Moisturizing Bath Oil Splash. The bottle is full. The bath oil is old and no longer fresh. I just tested it and it still smells very fragrant, the green notes and the lily of the valley are very strong. 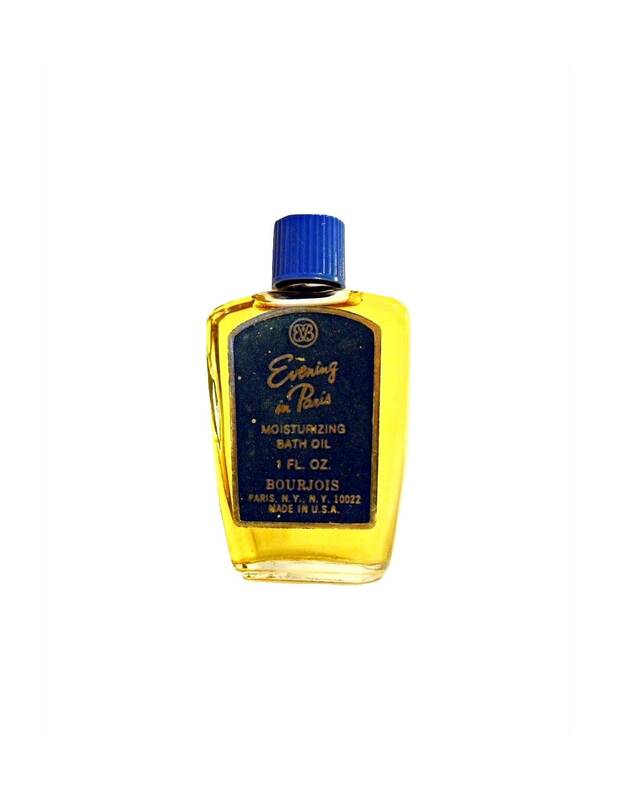 Though this is a bath oil, these were also worn as perfume as the fragrance tended to last longer on the skin due to the high concentration of oils. Created by Ernest Beaux (the creator of Chanel No. 5) in 1929, the fragrance was a soft classic sweet floral perfume. The scent became Bourjois' most successful fragrance. 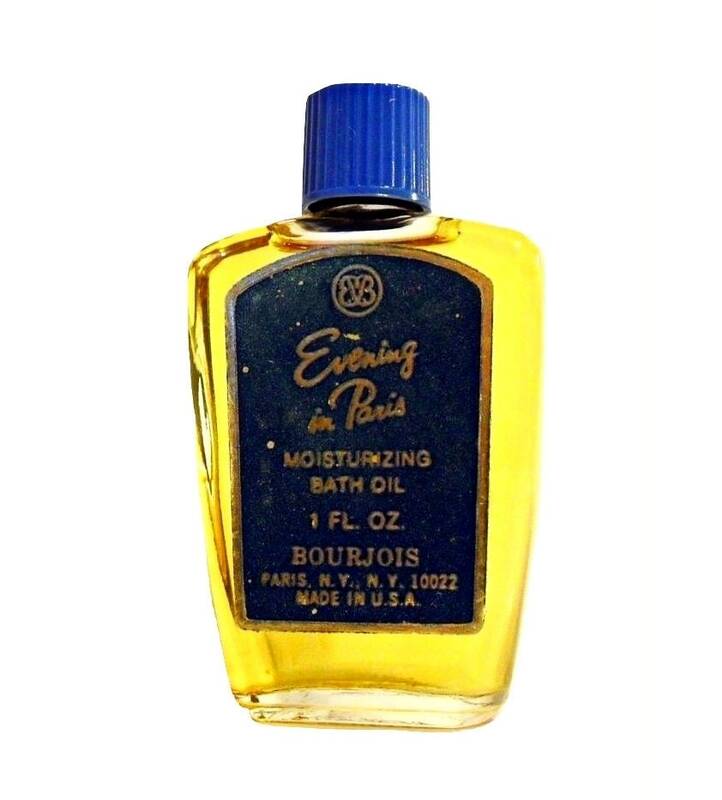 By the 1950s, it was touted as "the fragrance more women wear than any other in the world," yet by 1969 it had disappeared. Evening in Paris is classified as an aldehydic woody perfume with dominant notes of lily of the valley, lilac and jasmine. Base notes: vetiver, styrax, amber, musk, sandalwood and vanilla.